WA athlete Nina Kennedy (Pole Vault): Picture: Andrew Ritchie. 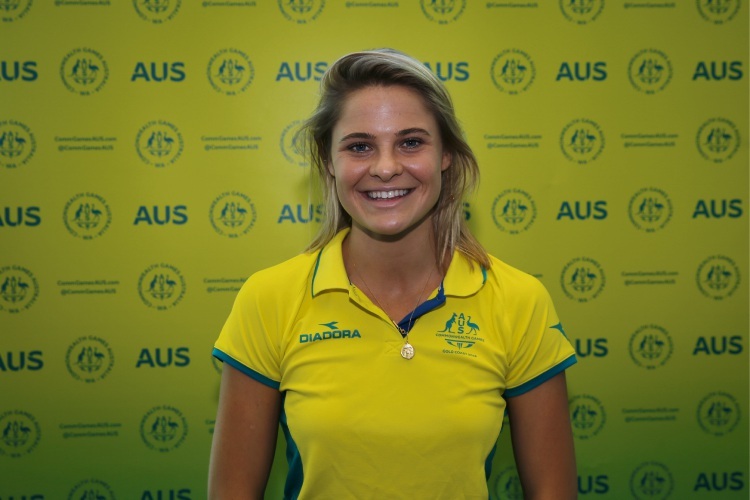 AUSTRALIAN pole vault medal hopeful Nina Kennedy says she is both nervous and excited ahead of her Commonwealth Games appearance on the Gold Coast. Kennedy, who turns 21 on April 5, enters the event having cleared a personal best of 4.71m in February. “I’m feeling nervous,” she said at a send-off for WA-based athletes. Kennedy said an eighth-place finish in February’s World Indoor Championships in England had offered her valuable experience against the world’s best. “Going over to Europe was actually really good for me,” she said. “I got some really good experience and jumping against the best girls in the world has just boosted my confidence. Kennedy said she would love to finish on the podium but believed wind conditions could be a major factor in deciding who takes home the medals.